. In a few easy steps it yields a satisfying, creamy pasta dish. You and your chosen partner will be sustained, as well as a few of your lecherous roommates. 1) Bring water for pasta to boil. While the water is coming up, chop bacon and fry in a skillet until crisp. Drain and then set aside. 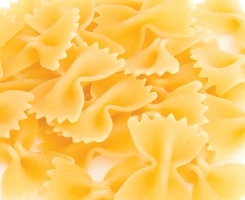 2) When water has reached a rolling boil, cook pasta until tender (about 8 minutes). As the pasta is cooking, combine egg and cream in a bowl. Season with salt and pepper. 3) Drain pasta and return to pot. Add bacon and cream/egg mixture. The residual heat of the pasta will cook the egg and warm the sauce. Stir until all pasta is covered. 4) Sprinkle on Parmesan cheese and serve. This base can be spruced up by adding spinach to the mixture and allowing it to wilt into the pasta after cooking. Alternatively, just serve a simple side salad. A hunk of bread will also do the trick. Mmmmm, now I wish this! I will buy custom term paper, they have some tips for me! Amazing blog! I have got loads of information and try it to observe some better guidance along result. Thanks for this I want to read of your more articles every time. I will wait for your articles for reading purpose. I am so excited to read your articles and I am ready to give 99% ratings to your articles. Carbonara is a staple dish that I always cook for my family. Very delicious and creamy and this recipe is very easy to create. Unlike the recipes that I found from Essayontime.com which has expensive ingredients.